I had to add the parenthetical caveat, if only because I fear one of the aforementioned elders will somehow assume there’s a massive Indian wedding on the horizon. Anyway, my parents specifically (and probably a lot of the other older and wiser ladies and gents in the clan) are trying to cut down on their sugar intake. I don’t really understand this, since I operate on sugar and start to short-circuit whenever there’s a chocolate shortage in my home. I guess it’s health related since according to The Whole Entire World and this one Spongebob Squarepants episode I saw, sugar turns to bubbling fat and causes hella problems, yo. Ok, ok, I know all this already. And I have been trying to get smart recipe-wise, at least for the summer. How am I supposed to get my regular dosage of sweetness and a. not totally sabotage myself and those around me and b. keep my oven time to a minimum? Enter Eating Well, a surprisingly awesome, pretty healthy cooking magazine/site that bestowed upon me the gift of the blueberry tart with walnut crust. 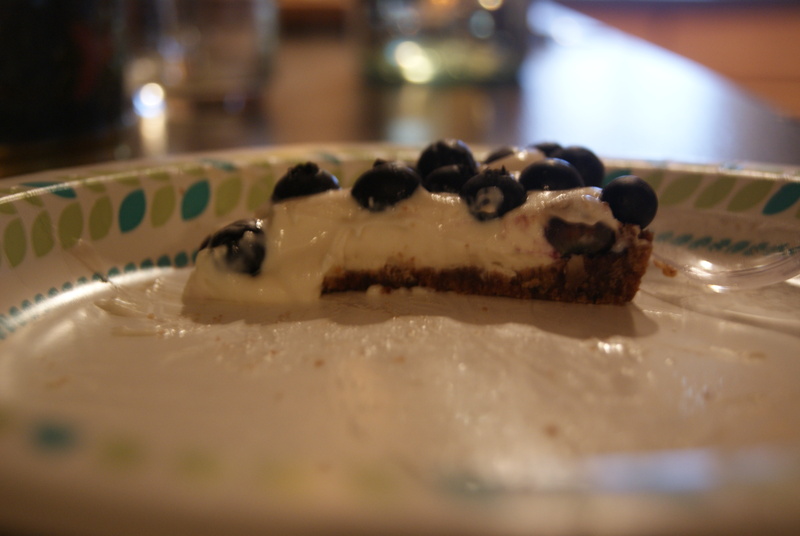 (Actually, on a side note, I’m really not sure if it’s supposed to be Blueberry Tart with Walnut Crust. I mean, it’s not a dude or lady, but it is the name of a recipe. I’m kind of confused here…can someone help me out? As a former English major and lifelong nerd, I’m perplexed.) This is a perfectly light, delicious, summer-y treat that would be perfect as an Independence Day dessert for those of us who maybe don’t want to be completely nauseous when we decide that a few laps around the block after a slice plus a goblet full of pinot grigio is a good idea (for the record, my dad served me the wine). A quick note: this does involve a leeeetle beet of oven usage. Not my favorite thing to do in this oppressive stank, but this crust was well worth it. In fact, it may just become my go-to crust for pretty much any pie I decide to whip up. You know what I just found out? Those Bunny Grahams are pretty delicious. It's a good time to be a five year-old. Ok, so, to start, let’s prep our crust. Preheat the oven to 325°F. I really enjoyed this process, because it involved a lot of crushing and crumbling and I was very angry. I don’t remember why, but I do remember watching one of the final episodes of Friday Night Lights while making this, and I’m really sad that it’s ending. Can’t it just be on forever, like Jeopardy! or the news? Anyway, to crush your crumbs, gather the grahams into a large resealable plastic bag and go at them with a rolling pin. It’s fun, I promise. 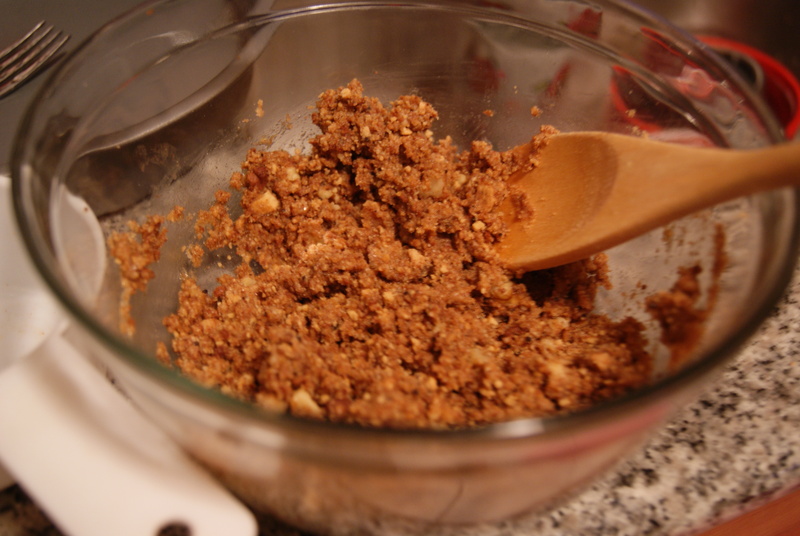 When you’ve got a cup’s worth, throw them into a food processor with your walnuts. I’m not that fancy so I only have a blender with a “pulse” button, which worked out just perfectly for me. Pulse until the mixture resembles bread crumbs. Meanwhile, in a separate bowl, whip up your egg white until it’s nice and frothy. Mix in the oils/melted butter, salt and cracker/walnut mixture until the mixture’s moist. Carefully press this mixture into the bottom of a removable-bottom 9-inch tart pan. I’m going to be honest with you folks, because I like you lots: I don’t have one of these pans, likely because, as I’ve told you, I am not fancy. I have a regular round cake pan and I also have parents who fortunately do not care at all about presentation. So, that’s what I used. When it’s been evenly pressed into whatever pan you choose, send it into the oven until the sides are lightly browned, about 8 minutes. While that’s happening, you can prep the incredibly easy and delicious filling. In a medium-sized bowl, with an electric hand mixer on low speed, beat the cream cheese, sour cream and maple syrup together. When it’s fully combined you’ll want to taste it. I am here to tell you to go with that urge. Wait until the crust has been completely cooled. This is yet another instance where a quick blast in the freezer would do some good. Gently pour the filling into the pan and spread it evenly. Press blueberries into the filling, arranging them so that the top of the tart is swimming in berries. 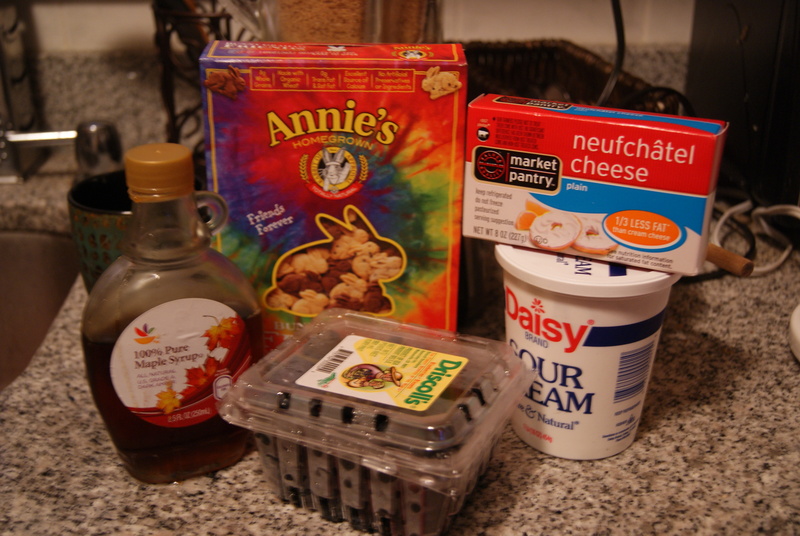 Refrigerate for at least an hour, and up to a day, before serving. So, have I convinced you yet that you need this tart in your life? No? Well, let me take this further. Even my dad, who does not like this blog and for some reason does not like it when I bake (I chalk it up to jealousy. Old man’s a hater! ), was ridiculously impressed by how light and yummy it was. He could not believe the crust was homemade, and both of my parents were thrilled that it wasn’t cloyingly sweet. Also, everyone went for seconds. Also also, I stole the rest of it and brought it back to my apartment with me. Remember how I said I like to give most of my desserts away? No one was getting near this one. And because I am so pleased with myself, and am feeling incredibly generous and, uh, free, I guess, I’ll leave you all with a little present. Happy Fourth of July peoples! Kyle Chandler of Friday Night Lights. You're welcome, America. ← Icebox Cake… Because It’s Easy, We’re Lazy and I’m in a Fight With My Oven. That looks awesome and I want some!!! Hope you had a good 4th. See you Thursday! I almost sent you a pic of Olivia playing Wackyball this weekend but she came at me with the mallet. What’s up with posting a picture of Coach Taylor in the old colors? Lion Pride, baby! EAST! …Can’t lose! 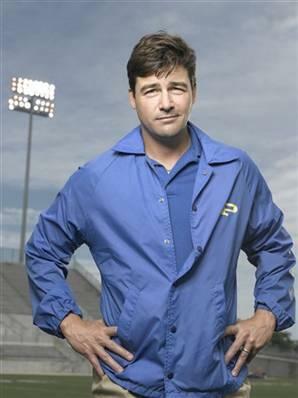 Can you believe I couldn’t find an image of Coach Taylor in Lions red? So sad…Google needs to catch up with the times. Olivia, yet again, proves to be an indispensable member of the Middle Children’s Club. Love it. See you in a couple of days! lovin’ the SBS shoutout ;] & bring some of them tarts over! please? :)?